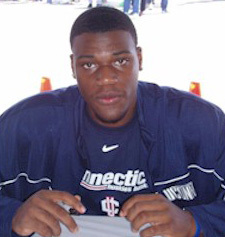 Jeff Adrien was a Forward for the UConn Huskies from 2005 – 2009. He played a key role in leading UConn to the Final Four of the 2009 National Collegiate Athletic Association (NCAA) Tournament, and 2005 Maui Invitational Tournament Championship win. 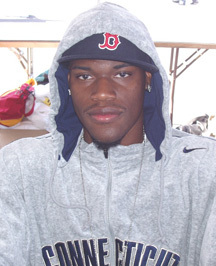 He finished his career at UConn with over 1,600 points, and 1,100 rebounds, only the second UConn player to get a “double-quadruple” (1000 points and 1000 rebounds) under Coach Calhoun. I had the pleasure of talking to Jeff about his basketball memories, and his first year of basketball post UConn. Each year Jeff earned Big East Honors. As a freshman - Big East All-Rookie Team, sophomore - Second Team All-Big East, junior - First Team All-Big East and senior - Third Team All-Big East. As a senior he was also one of thirty candidates for the John R. Wooden Award, the nation’s most coveted college basketball honor. What’s Jeff been doing in his first year post UConn, “It’s been different, I definitely miss UConn and I think about it all the time. I’ve only been out one year so I’m still adjusting.” During the summer following his senior year at UConn, Jeff played in the Orlando Pro Summer League and the Las Vegas Summer League. Next he played professionally in Spain for Leite Rio Breogan where he averaged 12.3 points and 7.7 rebounds with seven games registering a double-double. In the summer of 2010 he played again in the Orlando Pro Summer League. In August he was invited to the Golden State Warriors training camp. 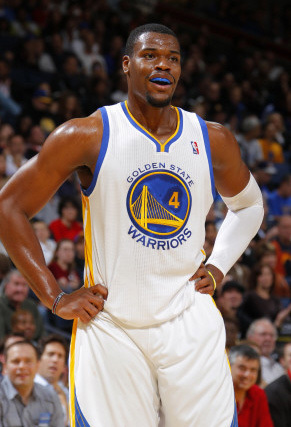 He made the Warriors final roster in the National Basketball Association (NBA) and is currently playing for them.